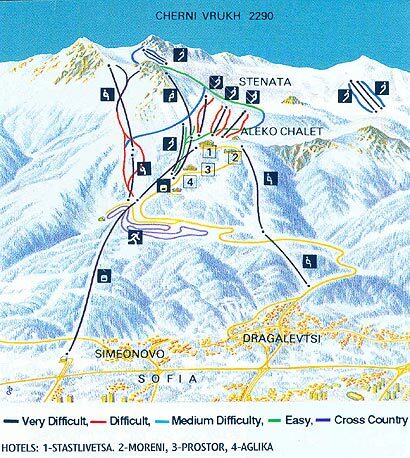 Vitosha resort has 6 ski runs, two of which have been approved by The International Skiing Federation for international competitions in Alpine disciplines and cross-country skiing. The ski runs are maintained in perfect condition. The Ski Patrol provides 24 hours emergency service and is fully equipped.